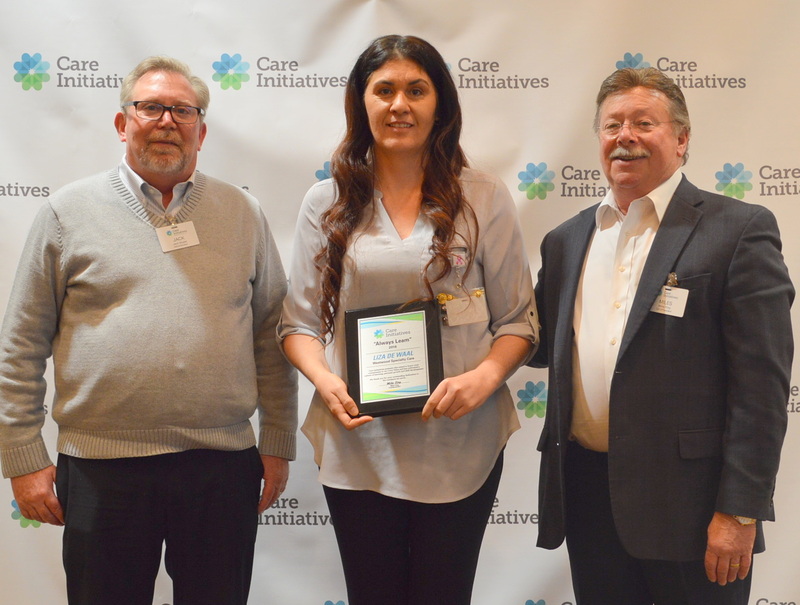 Liza De Waal Certified Nursing Assistant (CNA) with Westwood Specialty Care in Sioux City was awarded the Care Initiatives “Always Learn” award at Care Initiatives annual award brunch Friday, Dec. 16 in West Des Moines. Liza was nominated by Westwood Specialty Care Director of Nursing Angela Campbell who says she admires Liza’s dedication to providing quality care by ensuring she knows policies and procedures inside and out. Because of her dedication to adhere to quality care, other staff have been inspired to become more thoughtful caregivers. “She has sparked a desire throughout Westwood that makes people want to provide care the proper way,” Angela said. The “Always Learn” award is one of six “Core Value” awards given to a nominated employee throughout the statewide organization of 3,000+ employees. Westwood Specialty Care is one of 50 locations owned and operated by West Des Moines-based Care Initiatives providing skilled nursing, rehabilitation, Alzheimer’s/dementia, assisted living and hospice care throughout Iowa. For more information about Care Initiatives or Westwood Specialty Care, visit careinitiatives.org or call 712.258.0135.